After discussing the differences between idols and heroes, students choose a real world hero and create media resources that celebrate and promote their actions. What is the difference between an idol and a hero? Real-world heroes do not have to wear a cape, have spider-like senses or possess special powers. Outside of the comic universe, real heroes live among us and often receive no recognition for their heroic actions. The hero might be working towards peace and freedom, campaigning for a greener Earth, or helping others with everyday needs. Choose a hero in your community, in your family, in chemistry, or another subject your class is exploring. Then, create a poster, flyer, video, web site, or other media resource to educate your classmates on this hero and how their actions are, or were, heroic. Often times we use the words “hero” and “idol” interchangeably when referring to someone famous. What differentiates a hero from an idol? Who are your heroes? Be prepared with sample heroes and idols to help the conversation get started. Provide short essays, videos, or news articles of people from both categories. Engage students in a conversation of some of the most famous heroes of the past and present. Question students on what identifies a person as a hero. What differentiates them from an idol? Work together to complete a Venn diagram comparing the traits of heroes and idols with the traits they share in the overlapping part of the diagram. Have the students analyze whether a person can be both an idol and a hero. Have students choose a hero they would like to celebrate. You might focus their choices in a specific area, like science or math, or have them choose a hero in your community. Start by having students, or teams of students who are collaborating, brainstorm what they already know about this person. This will help them identify words and phrases they can use to locate more information. Give students time to research the hero, their causes, and their actions. Possible information sources include the school library, online resources, newspapers, videos, and interviews. What has this person done to earn the title? What does the hero continue to do to keep this honor? Did location, time, and person experiences help shape the hero’s actions? Students should combine the facts and stories from their research to write a composition or narrative introducing the hero and why this person deserves a hero’s title. 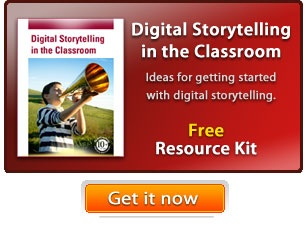 Work with them to determine how they might best share and show the story of their hero. Details and organized writing are essential in conveying how this person displays the qualities of a hero. Even if students are producing a poster to demonstrate understanding, a solid story about the person will help to guide their visual work. Once a narrative has been composed, have students decide what type of product they will create to showcase their hero. Then, students should decide which pieces of the narrative they will use to direct their work. They should return to the research process to find media that supports their ideas. This might include first-person video interview segments, photographs, images they will use as models for their own illustrations, and so on. Work should be saved, exported, or printed so that it can be shared. You may choose to display student posters around school or see if a local coffee shop would display them for a month. If students create videos, web pages, or booklets about a family hero, burn them to CD for the students to present as a gift. You could have a tech-savvy team of students create a kiosk interface to each of the projects and display the student work in a local museum or at City Hall (this would work great for a community heroes project, and you should be able to easily secure grant funding to cover the cost of the kiosk for this type of project). Post student videos and web sites to your school web site or to a video sharing community for wider distribution. If student heroes center on a subject or career, like biology, connect with a local university or even a local biotech company to be the audience for student work. Invite local experts to help with project evaluation. Begin by evaluating student discussions as you work to differentiate idols and heroes. The power of their writing will be dramatically reduced if they can’t articulate the difference. Evaluate the extent of student research about their hero. How well are they able to locate accurate and reliable information? Examine students initial writing and story to help you determine whether they understand what it means to be a hero and if they can evaluate the information they find in their research. The final media object will help you evaluate how well students are able to apply knowledge and information to communicate an idea and craft a written or visual argument. W.6.4. Produce clear and coherent writing in which the development, organization, and style are appropriate to task, purpose, and audience.